Naples Family and Divorce Lawyer Kevyn Noonan Hayes > blog > Divorce > What Is Equitable Distribution? One of the main issues in a divorce, other than child custody and alimony, is that of property division. Florida favors the method of equitable distribution. Many states have equitable distribution in place to help maintain fairness when determining who gets what. Here’s what you need to know about equitable distribution. Essentially, equitable distribution means “fair” distribution, but this does not necessarily mean the assets are divided equally. Often times, marital assets are divided 50/50, with each spouse taking half of the money and half of the debt before going their separate ways. However, the future financial situation of each spouse may be considered before the property is divided. For example, a lesser earning spouse who becomes the primary custodian of the couple’s children may be awarded the house in a divorce. Or, one spouse may be awarded the home while the other is awarded assets of a business, if the amount of each is considered fairly equal. Because the method of using equitable distribution to distribute property among divorcing spouses requires some subjectivity on the part of the judge, it can be difficult to predict what each spouse will be awarded. Of course, spouses can always agree to any division they wish or the assets could always be sold and the money distributed. 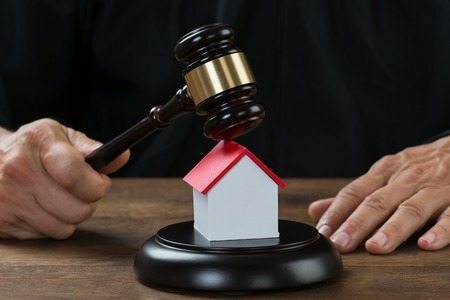 Marital property is the only type of property that will be distributed by a Florida court through equitable distribution. When property is clearly owned by one spouse prior to the marriage and not the other, courts will generally maintain that the spouse is to retain ownership of their separate property. However, this does not mean that separate property won’t be considered in equitable distribution. For example, if one spouse has a large trust fund in his or her name and they use some of that money and co-mingle the non-marital funds with marital funds, the asset could then become marital. It’s important that you have someone to advocate for your interests when going through a divorce and dividing property between you and your spouse. Contact the Law Office of Kevyn Noonan Hayes P.A. today for a consultation to discuss your needs and how you can move forward ensuring that your rights and interests are protected. Call now at (239) 591-6248.